Emile Durkheim was born April 15, 1858. He died November 15, 1917. Durkheim was born in Epinal, France. He came from a long line of devout French Jews; his father, grandfather, and great-grandfather had all been rabbis. 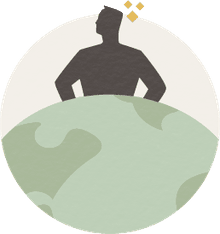 He began his education in a rabbinical school, but at an early age, decided not to follow in his family's footsteps and switched schools, realizing that he preferred to study religion from an agnostic standpoint as opposed to being indoctrinated. Durkheim entered the École Normale Supérieure (ENS) in 1879. Durkheim became interested in a scientific approach to society very early on in his career, which meant the first of many conflicts with the French academic system, which had no social science curriculum at the time. Durkheim found humanistic studies uninteresting, turning his attention from psychology and philosophy to ethics and eventually, sociology. He graduated with a degree in philosophy in 1882. Durkheim's views could not get him a major academic appointment in Paris, so from 1882 to 1887 he taught philosophy at several provincial schools. In 1885 he left for Germany, where he studied sociology for two years. 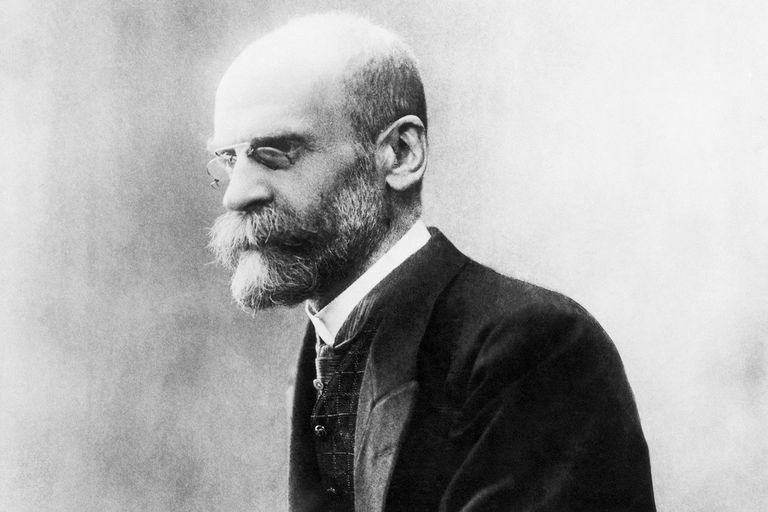 Durkheim's period in Germany resulted in the publication of numerous articles on German social science and philosophy, which gained recognition in France, earning him a teaching appointment at the University of Bordeaux in 1887. This was an important sign of the change of times, and the growing importance and recognition of the social sciences. From this position, Durkheim helped reform the French school system and introduced the study of social science in its curriculum. Also in 1887, Durkheim married Louise Dreyfus, with whom he later had two children. In 1893, Durkheim published his first major work, The Division of Labor in Society, in which he introduced the concept of "anomie", or the breakdown of the influence of social norms on individuals within a society. In 1895, he published The Rules of Sociological Method, his second major work, which was a manifesto stating what sociology is and how it ought to be done. In 1897, he published his third major work, Suicide: A Study in Sociology, a case study exploring the differing suicide rates among Protestants and Catholics and arguing that stronger social control among Catholics results in lower suicide rates. By 1902, Durkheim had finally achieved his goal of attaining a prominent position in Paris when he became the chair of education at the Sorbonne. Durkheim also served as an advisor to the Ministry of Education. In 1912, he published his last major work, The Elementary Forms of The Religious Life, a book that analyzes religion as a social phenomenon. Who Was Pierre Bourdieu, and Why Does He Matter to Sociologists?